Click here for the Movies. Note: all dates are tentative and are in Eastern time zone (EDT/EST)! When Dan heard this idea by Chad Norstrom of Clifton Larsen Allen, at the 2018 IBA Cybersecurity Conference, he couldn’t stop thinking about it. By conducting an Employee Risk Assessment, we might be able to target security awareness training as well as prioritize both patch management and SIEM escalation. Dan will review his latest spreadsheet creation in this one hour webinar. One of the highest likelihood attacks we face as community-based banks is the pretext call. Resolving the issue is both difficult and time-consuming. This webinar, which will be the basis of a movie meant for all users, will define the problem, the solution, and (for ISOs) how we can teach our employees to implement the solution. This will be another “movie within a movie.” In this webinar, Dan will establish the need for incident response testing as a management awareness training tool. Within the webinar will be a short ten minute movie you will be able to show to your management team to help justify their participation in your test. This webinar is for Information Security Offices who need to “get the board on board!” It walks through the top seven risks community banks face in 2019/2020, from a board perspective, and includes the previous movie (The Board’s Role in Cybersecurity ). Each year Dan and his team assemble a “Top Seven Risks List” which Dan uses in his board presentations. In this webinar, Dan reviews the top risks that information security officers of small financial institutions will be focused on in 2019. This is another example of our “Movie Within A Movie” concept” where the longer webinar is meant to help ISO understand what to do with the shorter movie (see previous movie . . . The Board’s Role in Cybersecurity). Training for the Board of Directors is hard to conjure up. In this movie, Dan uses his annual R-7 list (see next) as the basis for your 2019 Board of Directors Cyberawareness meeting! 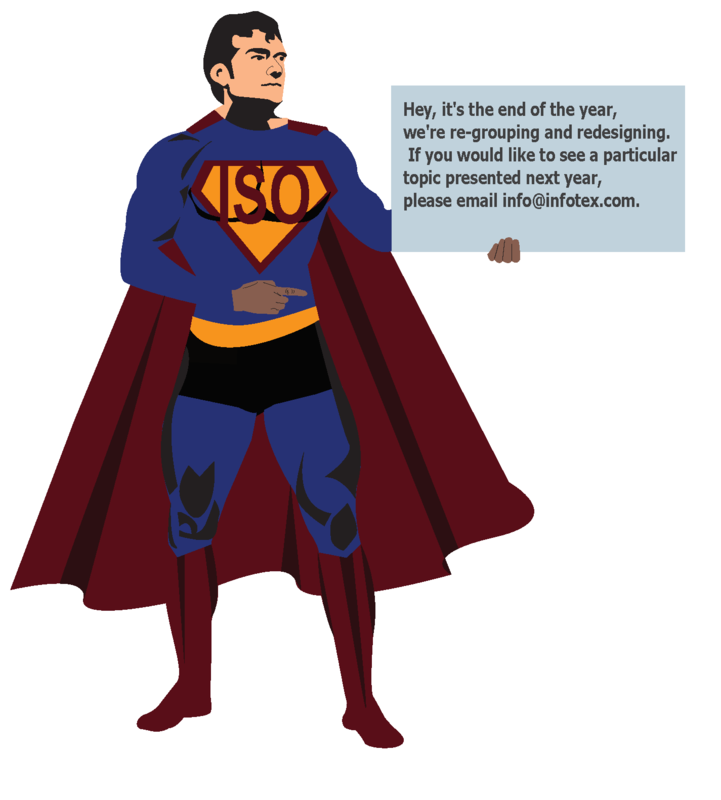 For ideas on how to present this to your board, see the next movie (Providing Board Awareness: R-7: A Superhero’s Guide to 2019! Dan will review why a school corporation should be using a SIEM, what a SIEM actually is . . . . and then the fun begins as we walk through a SIEM in action, and discuss tuning processes. In preparing our talk on SIEMs for the IBA’s Cybersecurity Conference, Dan had a whole section on testing SIEMs that would not make it into the talk. This one hour webinar is that section. Dan will review quality controls you must ensure are in place for your SIEM, and then dive deep into how to test each of those controls. Our annual webinar on the subject will be focused on a simplified process for small institutions, and we will provide starting point boilerplates for documentation. Feel free to invite your entire technology committee!. Based on what he is finding in reviews of several audits where Clients talked us into accepting shortcuts, Dan will review at least three five seven far-reaching shortcuts (that your auditor and/or examiner MAY agree with). Do you know how to prove a caller is who they say they are, before giving them sensitive information? This movie is meant to teach all bank employees how to ask Out of Wallet Questions, and why using them is so important to our customers’ financial health. Providing Board Awareness: R-7: A Superhero’s Guide to 2018 and Beyond! This webinar is for Information Security Offices who need to “get the board on board!” It walks through the top seven risks community banks face in 2018/2019, from a board perspective, and includes the previous movie (Cybersecurity for the Board.). Each year Dan and his team assemble a “Top Seven Risks List” which Dan uses in his board presentations. In this webinar, Dan reviews the top risks that information security officers of small financial institutions will be focused on in 2018. This is another example of our “Movie Within A Movie” concept” where the longer webinar is meant to help ISO understand what to do with the shorter movie (see previous movie . . . Cybersecurity for the Board!). Dan just found out this webinar is on his birthday, so he’s planning on an “outside-the-box” webinar, Dan (and others if necessary!) will be presenting the Equifax breach using the infotex boilerplate for the Incident Response Log as a framework. Contract Review: A Drill-Down for Those Brave Enough! In June we delivered a webinar called “What Do We Tell Those Poor Vendor Owners,” which was about simplifying the vendor management guidance so that your vendor owners can understand the big picture of what needs to happen, and reduced a contract checklist to four basic promises. The movie for that webinar is now available. But after the webinar, we received several requests to “drill down on that contract checklist.” This is that drill down. How to Review a SOC-1 or Two, Part Two! You’re needing to find a SIEM and you’re a small organization. You’re jaw still hurts from how hard it hit the ground when you found out how much time and effort goes into setting up your own SIEM. And that was before they gave you the price. And meanwhile, every time you ask a vendor what a SIEM is, you get a different answer. This webinar will try to look at a SIEM from the ground up . . . why it is important to have in place, what the cadillacs can do, what makes sense from adoption philosophy (early majority, later majority, laggard) planning perspectives. And . . . what does it need to do currently for small organizations. As auditors who also watch networks as an MSSP, we see many leading indicators of breaches. This webinar will review both the “dead birds” . . . phenomena that means you’ve already been hacked . . . and the “sick birds,” phenomena that, if not fixed, will lead to a successful breach in your organization. Authentication . . . one of the most important controls on our network . . . is often undefined, primarily because there is no good starting point. While most of us are big on documented password policies, the technical enforcement of nontechnical password policies remains a mystery to those outside network management. In this free webinar, Dan will review what we should document, what should remain undocumented, ways to address “shared credentials,” and . . .. most importantly, reveal a free boilerplate that will get you started on documenting your own Password Management Procedure. So you’ve assembled your Incident Response Team, you’ve done the Plan Walkthrough, you’ve even tested the team a couple of times with tabletop testing. Now what? Join us for this free webinar as Dan provides a handy training . . . . and if you’re a large institution, planning . . . . tool! An unlikely question being placed on the desk of many Information Security Officers: How do you know you are properly insured? Dan will help us answer the question: What questions should be asked when you prepare to transfer risk (acquire Cyber Insurance or other types of Insurance)? How to Review the SOC One or Two! How do you know which user control considerations require follow-up? The SSAE-16 Review Checklist helps you organize your approach, make sure it is risk-based, and properly communicate resulting risk from the vendor due diligence process. An excel spreadsheet, this checklist includes all the appropriate questions that must be asked during an SSAE-16 review, with an easy risk ranking metric that will allow you to compare all critical vendors. If you’ve performed your Cybersecurity Assessment you’re probably wondering, “what is this data flow diagramming thing, why have my auditors never asked me for it, and how do I do one for my bank?” Join us as we run down the answers to those three important questions! Are you through your cybersecurity assessment first iteration and wondering what the heck you’re going to do about a handful of statements related to incident response? Join us for this free one hour webinar that helps connect the dots from what you’re already doing to what you need to do as it comes to baseline and evolving incident response statements. Learn how to fulfill the loose guidance about incident response testing in a manner that delivers value. Deliverables will include templates for a Test Plan, Test Minutes, and Post-mortem review, as well as discussion of sub-scenarios, tabletop test practices, and how to get incident response testing from your existing audit plan. Cyber Insurance – The Questions that You Should Ask When You Transfer Technology Risk! Integrating the Technical with the Nontechnical Aspects of incident Response Planning. Case studies back up the need for a monthly Incident Response Team process. Start planning for easy ways to Train Your Incident Response Team in 2017. Dan will run through an almanac of CAT statements and suggest how existing guidance can be leveraged. This presentation is intended for those who are planning to participate in an infotex incident response test. Please let us know what questions you have, when we have our Plan Walkthrough and Test Plan Approval meeting! All presentations on this page come with this disclaimer! The 2016 IT Governance Tour! The 2015 IT Governance Tour!